Click here to see the official notification of UPSC CAPF Assistant Commandant Recruitment 2018. There are total 398 vacancies available in this current CAPF UPSC Recruitment Examination. Posts and vacancy details are given below..
Out of 398 vacancies 10% of posts are reserved for Ex-servicemen. Both the Male and Female candidates are eligible to attend this examination. The candidate must have qualified a Bachelors degree from a recognized University. As on 01-08-2018 the candidate's lower age limit is 20 years and maximum age limit is 25 years. For SC/ST candidates 5 years age relaxation is given and for OBC candidates 3 years of age relaxation is given. There is no exam fee for Female/SC/ST candidates and for others Rs.200/- towards application fee. The eligible candidates have to apply through the official portal of www.upsc.gov.in only on or before 21-05-2018. Before applying online must have read the Original notification. Pay application fee through the official website only using debit/credit or net banking. Those who are willing to pay by cash they have to generate the online chalana and pay the same in any SBI branch and update the same on or before 20-05-2018. Selection for this recruitment will be held in different stages. 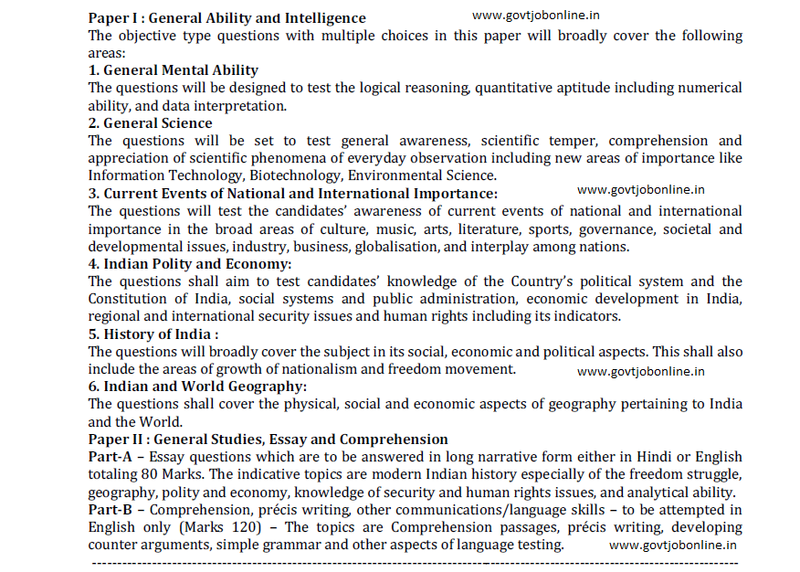 Interview and personality test will be conducted for 150 marks. Final selection will be based on merit in written test and Interview. 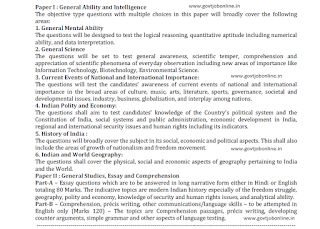 Written test will be conducted in two papers. Paper 1 will be held morning 10 a.m. to 12.00 Noon and Paper 2 will be held afternoon from 2.00 p.m. to 5.00 p.m.
General Ability and Intelligence - 250 Marks (Objective type multiple choice questions in English and Hindi). For Women: Height: 157 cm, Weight 45 kg. Click here to apply online for the UPSC Central Armed Police Forces Assistant Recruitment 2018. Please share this information with your beloved friends through social networking sites and help them to achieve the high earnings defense job.